DETAILS: Unbeatable gulf front views and fabulous furnishings make 530 Blue Mountain the perfect spot to spend your next beach getaway. Tucked away in beautiful Blue Mountain Beach, Florida, this fabulous 5 bedroom home sits directly on the beach and boasts breathtaking views throughout. Comfortable accommodations and amenities for 17 make 530 Blue Mountain Road ideal for multiple groups or larger families. The back deck offers a great spot to hang out and take in the beautiful scenery of the Gulf and white, sandy beaches that can also be accessed via the home’s private beach access. In the side yard you will find a fire pit and grassy area that is perfect for a game of Frisbee or just lounging around when you aren’t at the beach. When you’re are ready to explore the area, look no further than the fabulous shopping and dining venues that are scattered along 30A just moments from your home. Check availability and call 360 Blue today! AMENITIES INCLUDE: 4 adult bikes provided, gulf views. This property comes with 5 dedicated parking spots. Complete Clean Linen Participant - ALL linens, including comforters laundered upon every checkout. Had a wonderful trip with our family. Beautiful views from 3 bedrooms and the living room. Home was spacious and perfect for all the kids. The front yard was a huge hit for throwing the ball around, and what felt like our own "private" beach. The concierge department was very helpful. Thanks so much for everything. We are so delighted that you enjoyed your vacation with us in Blue Mountain Beach! We agree that this home is such an amazing option to enjoy a fun beach getaway! The location of this home is second to none and we hope that we are able to host you all again soon! We are so happy you had such a wonderful stay in Blue Mountain Beach! The sunsets are truly one of a kind here! Thank you so much for choosing to stay with 360 Blue and we hope to have you back at the beach again soon! You can’t beat the location of the house. It was so nice to be right on the gulf. We do wish the house was kept in better condition for the price. The tables were sticky and not cleaned along with balls of hair in the shower drain. We also had to remove a cockroach from the house. Overall it was not as well kept as we were hoping. The home is in need of a deep clean/updating. We are glad that you enjoyed the location of this home! We agree it is a prime area for a beach getaway! We do apologize for the state of the home, unfortunately, after a long season, our homes do go through some wear and tear. We will share your valuable feedback with our team to correct this for our future guests. We hope to see you again soon! Fantastic time!!! 2nd time in a row at The Point, and once again we had a great time. 360 Blue responded immediately to our AC issue so there was no issue at all. Great Beach, Great House, Great Company to rent from. We are so glad that you enjoyed your vacation with us in Blue Mountain Beach! We adored the photo you shared, it is gorgeous! We are so delighted that our team was responsive on dealing with your AC, as we take that very seriously. We look forward to hosting you and your group again very soon! This house is amazing. It’s the perfect location and has a great layout. Never had better views and walkable to some shops. Loved this experience. One recommendation- stock the kitchen better. More serving bowls & platters would be nice. We are elated you enjoyed this amazing beach house! Located right on the Gulf in Blue Mountain Beach, it doesn’t disappoint with it’s views. The shops and restaurants of Blue Mountain are only a short bike ride or walk away. So wonderful to hear that you loved your experience in staying with us! In regards to the kitchen housewares-we will certainly assess and stock as needed. Thank you so much for your feedback. We had four couples staying at the house and there was so much room for everyone! The different seating areas inside as well as outside were amazing! The furniture and accommodations were good quality! the area was also very peaceful but yet close to a lot of fun things to do... our fun was mainly finding good quality places to eat and have some nice drinks and sitting on the beach! We are already planning our next vacation here! What a gorgeous photo! You really captured the serenity of our beaches! We are delighted to hear you enjoyed your stay with us and found the property to be accommodating and peaceful! This home really is perfectly situated to enjoy peace and quiet while also having easy access to shops and more! Thank you so much for choosing 360 Blue and taking the time to share your experience with us. We look forward to helping you plan your next stay with us! Great house! We loved the deck and the beautiful sunsets. We also liked the fact that the house was one level. What a gorgeous photo! 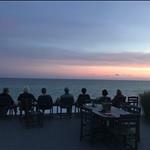 You truly captured the beauty of our 30A sunsets! We are so happy to hear that you enjoyed your stay with us! The decks of this house really do have the best views! Thank you so much for choosing 360 Blue for your beach vacation. Come see us again soon! Beautiful house with a superb view of the ocean! 360 Blue's service was very impressive. We requested to have the grill cleaned and it was done within the hour. The beach chairs and umbrella were a feature we didn't think much about. But, it turned out to be a favorite with us. A great service! What a gorgeous photo! You really captured the beauty of our sunsets on 30A! We couldn't be happier that you enjoyed the property and your stay with us so thoroughly! Blue Mountain Beach is truly one of the best communities in the area! Thank you so much for choosing 360 Blue for your beach vacation. We hope to see you all back at the beach soon! We had amazing time!! 360 Blue was incredibly responsive to our lack of air conditioning in part of the house upon arrival. Within a half hour we had 2 sets of maintenance people to make sure everything was running smoothly. I mention this because we have been staying up and down the panhandle for years, and this was hands down the best service to a problem we have ever had, and in a Saturday night! The house was clean and well equipped....with a few extra pans left behind because we like to cook!!! The beach was great, perfectly gorgeous water all week. I will definitely be booking a return visit. This is such a beautiful photo! It's definitely one to keep and look back on when you need a little beach in your day! We're delighted to hear that you enjoyed your stay with us so thoroughly! Thank you so much for choosing 360 Blue for your family's beach vacation. We look forward to your next visit with us! We enjoyed our stay for a July 4th week of family celebration. Our family of 15 were together most of the week at this perfect home overlooking an awesome view! We loved everything about the house. It was very well equipped with all that one needs to enjoy a true vacation. Thanks to 360 Blue for quick responses to questions! I did not want to leave! What a great photo! We are so happy to hear that you enjoyed your stay with us in Blue Mountain Beach! We are thrilled to hear that you enjoyed the property so thoroughly, the view really is spectacular! Thank you so much for choosing 360 Blue for your beach vacation, and for taking a moment to share your experience with us. Be sure to come and visit again soon! We had a wonderful time. The beach and the neighborhood were so lovely. The neighbors are really friendly too. The house and the location was perfect for a family get together. It was a great getaway. What an incredible photo! We are so elated that you had such a wonderful stay. We look forward to having you back soon! A great week with our family, including 4 generations. We love the house and the deck and lawn. Great service from 360 Blue, always being sure we were pleased and had everything we needed. Hope to return next year. Such a beautiful photo! We are so thrilled that you had such a wonderful time! We loved having you with us and hope to see you back soon! The view was amazing! The house is roomy! Parts of the home could use some TLC, but aside from that, we were very pleased and would even rent this home again. 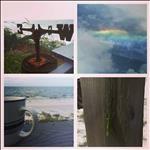 It was close to many things, but off the "beaten path" so we felt like we were away from the busyness of 30A. Looks like it was a great day for fishing! We are so happy you enjoyed your stay in Blue Mountain so much! The house is so spacious and comfortable.Thank you for choosing to stay with 360 Blue and be sure to think of us for your next vacation! Great house! Great location. Only 4 stars on cleanliness because of food debris in the oven. Looks like it was a picture perfect sunset! Thank you for staying with 360 Blue! Thank you for your valuable feedback about the oven. We do apologize about that and we have addressed that issue with our cleaners to prevent that from happening in the future. We hope to have you back at the beach again soon! This is a great rental for families at a beautiful beach! The house itself was great, but the back deck and grass area really made this a winner for being able to spread out. Used the kayak and bikes every day. 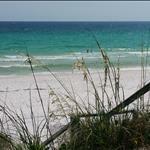 Fabulous location to enjoy Grayton Beach and Santa Rosa Beach. Looks like it was a gorgeous day to spend at the beach! We are so happy you and your beautiful family enjoyed your stay so much in Blue Mountain. The bikes are such a great bonus with this home. Thank you for staying with 360 Blue and we hope to have you back at the beach again soon! Beautiful home with a gorgeous view of the ocean & the most beautiful sunset. 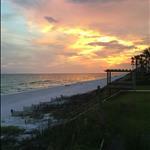 You just can't beat the sunsets on the Emerald Coast! We hope to see you back at the beach soon! Loved the house and the location was perfect!! The private beach and the dolphins greeting us each morning made my group of 12 moms very happy. We will be back for sure!! How fun!! We are so thrilled that you all had such a girls getaway. We hope to have you all back soon! Best view of the beach and ocean we've ever enjoyed! The deck is incredible - lots of great time relaxing with family. We look forward to coming back soon! Hi Neitzel Family: Thank you for choosing 360 Blue for your beach vacation. We really hope you see you on your next visit to the area! Thank you for staying with 360 Blue at The Point! Come back again soon! We arrived a few hours early not anticipating the rain, Stephanie, with guest services was so wonderful by allowing us to check in early so our 5 year old could get out of the car and unwind. The house was amazing and had everything you could possibly need including beach supplies! We will most definitely return next year! Thanks for the memories! Despite the rain looks like you got to enjoy beautiful weather and a perfect beach day! Thank you for staying with 360 Blue! We are overjoyed that your family had such a wonderful vacation and we are so looking forward to your next stay! Thank you again! We loved this house! It was perfect for our family and we have zero complaints! I've work with a lot of rental companies in the area and 360 Blue is by far the best customer service. I loved the app and the reminders throughout the week were very helpful!! Thanks for sharing such a cute photo of the kids on the beach! Looks like they are having fun! We are glad you enjoyed your experience with 360 Blue and our customer service. We hope to see you again soon! We loved our stay at yoir place! The views and beach access were amazing! It was clean and the open floor plan was great! The bikes were an added amenity as well as the beach chairs and umbrella. Nothing beats a day at the beach in the middle of October! We are happy to hear you enjoyed this home and the unbeatable location and utilized all the extra amenities. This extra "love" sets this property and 360 Blue apart from other vacation rental experiences in the area. We were so thrilled to stay at BM530 for our family vacation this year. This beautifully decorated home was so relaxing being right on the Gulf. We woke up every morning & had coffee on the deck watching the dolphins all week long. The kitchen was a major highlight as we are a family who loves to cook and there was plenty of space and gourmet kitchen utensils. The beds were super comfy and we loved how much character this home has. The layout of the home gave everyone enough space to spread out & each room hosted a flat screen tv. Staying in the master bedroom & waking up to the stunning views of the ocean was super peaceful every morning and the tub in the Master was lovely! It was so nice to have the bikes provided & we rode to the creamery nearby and hit some of the trails that were around. The firepit and the gas grill were also a huge plus. We had a couple of chilly nights and sitting around the firepit and listening to the waves was enchanting. We will be back next year!! What a beautiful family! This home truly showcases the best of the lifestyle in Blue Mountain Beach. We are so happy you were able to appreciate the unique touches that make this feel like a home away from home. Can't wait to see you next year! Mrs. Linda C. and Dr. T. Scott Little, Columbia, SC. 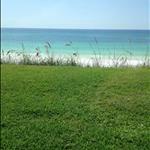 This was our most perfect stay in FL and at the 30A in more than 20 years. Your service was perfection and the accommodations excellent. Thank you so much for a wonderful vacation. Picture perfect sunset! 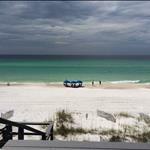 Thank you so much for staying with us this visit to 30A! We hope to have you back for many years to come! We are having a wonderful time at "The Point". It is our first stay in Blue Mountain and we have been pleasantly surprised by the beach privacy in the area. The water is crystal clear and the dolphins and sea turtles have been a joy to watch. We enjoyed the pontoon boat rental today to crab island where our son took to the paddle board like a pro. Could not have asked for a more perfect family vacation! Our concierge Emily has been wonderful as well as the whole staff. Look forward to renting from 360 Blue again. 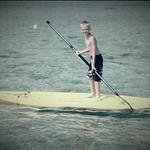 He certainly looks like a pro on that paddle board! That is wonderful to hear you took advantage of our concierge services as they're always here to help plan the most perfect vacation! We're so glad you enjoyed your stay at The Point. The dolphins will be here waiting for your return as will we! Thank you for choosing 360 Blue! Great photo of the dunes! 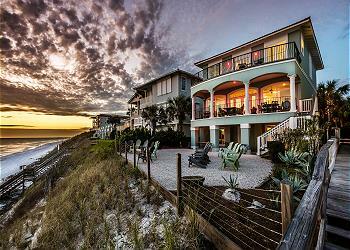 We are thrilled to hear you all enjoyed your time at this beautiful gulf front home in Blue Mountain Beach! We provide all the start up amenities needed to prevent the need for a grocery visit the first couple of days of vacation. We're so glad that you tried the Blue Mountain Creamery as that is definitely a favorite of ours! We hope to have you back soon, thank you! We had a great week in this terrific house. Old FL charm, but with lots of space (for our 7 adults and 5 children under age 6) and many modern touches. Clearly a great location with interior and exterior views that take advantage of it. I downgraded value slightly because it is pricey, but we would have been unlikely to do as well for anything less. 360 Blue's service and attentiveness were great. Minor issues with screen door and TV in den were swiftly dealt with, as was a more major one with grill (vents were rusted shut): they replaced it quickly with a grill upgrade. Gulf unfortunately was a little rougher than we would have liked with all the little ones but, hey, it was May. Guess it was payback for the absolutely beautiful sea and weather we had when we rented the same place last August! Picture perfect! We are thrilled to hear you enjoyed 530 Blue Mountain Road as much as we do! Great location indeed and so cozy inside and out. Thank you for bringing those minor issues to our attention giving us the opportunity to address while you were here. Hope you're planning another trip soon! Thanks again! Great vacation with my family for Easter and Spring Break! Loved the sunsets and a glass of wine in the evenings at this property. Being directly on the beach was great. The kids had a ball and we could watch them from the deck. 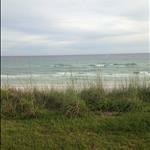 We loved the seclusion and private area away from the crazy traffic of Destin. 360 Properties was easy to deal with, everything on line and an APP for easy access. Thank you for the Welcome basket. To the owner of the property I would recommend a new barbecue grill with propane. This is a large house and the current grill is small and rusted out, not usable. As a family we grill a lot and this impacted our stay during the week. The house was amazing and well appointed. Thank you for sharing your lovely home. 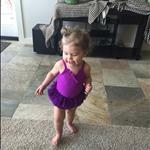 What a cutie pie!! Thank you for staying with us for over the holiday! You definitely can't beat this home's perfect location and incredible views. Blue Mountain Beach is great for a quiet and relaxing getaway. Thank you for the feedback regarding the grill provided at the home! We will certainly pass along your suggestion! Come back soon for more beautiful sunsets, we'd love to have you back!! We loved the location, home decor, supplies, services available, comfortable bedding & furniture. We would have preferred an enclosed walkway between the front bedroom and bath. That was awkward. Called both concierge and main numbers to rent beach chairs & umbrella on Saturday. No one called me back from concierge and Mandy at the main number gave me a number for the company you use who never called me back. Otherwise we enjoyed the house and our stay. What a beautiful photo! Though it's nearly impossible to take a bad one from the back of this home. Just lovely! Thank you so much for choosing 360 Blue for your summer vacation and for taking a moment to share your experience. We are so happy to hear that you so thoroughly enjoyed the home and your stay. We do apologize for the mid-stay issues you had with the beach service. We are happy we were able to get you quickly and easily set up on the Thursday and Friday preceding that Saturday and wish it would have been just as easy for you to get that service extended the third day. After looking into the issue, the only call we have on record from you that day is the one placed to Mandy and we confirmed that she did, in fact, provide you the correct number, which should be the same number they called you from to confirm the location of your setup for the previous days. Again, we are sorry for this issue, but happy that it didn't stop you from enjoying your time at the beach. We hope you'll be back soon! Great photo collage! Thank you so much for choosing 360 Blue for your summer vacation and for taking a moment to share your experience. This home really is absolutely amazing, both in interior touches and in location. We can't tell you how happy it makes us to know our guests are enjoying our clean linens. We want you to know that all of your concerns are being addressed. A new umbrella was ordered and should arrive any day. The toilet has been repaired and is now functioning normally, and our maintenance team will be looking into the screen door at the next check out. We are happy these minor issues did not stop you from having an outstanding beach adventure. We hope you'll be back soon for more fun in the sun! What a perfect house in a perfect location. 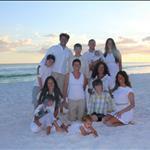 Great family time - we took advantage of concierge services for beachchairs and bonfires on the beach! I can't imagine a better beach trip. We plan to be back! Gorgeous photo! It just goes to show that this area is stunning even in cloudy weather. This home is in such an amazing beach front location, making it absolutely ideal for fully immersing yourself in the Emerald Coast lifestyle. We are so thrilled to hear that you enjoyed your stay, and we look forward to many more! Great location and wonderful house. The only negative is the renovation of the home is not 100%......The nicest shower in the entire home was not working and after two plumbing visits they still did not have the parts. Two rooms were missing blinds and had to hang towels for privacy. The master bath needs a partition between the shower and the toilet. Several lights were out and the oven hood would not work, and the outdoor umbrella hand crank did not work. Despite all the above we all loved the house and look forward to coming back. 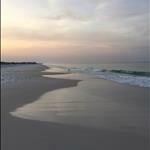 It is a pefect location for relaxing and enjoying the gulf. The bikes are a nice touch as well. I still give it a A and hopefully the above items will be all fixed soon. Thank you so much for your feedback and your beautiful photo! This is truly a fabulous home in an incredible location. A lot of love went into the renovation of this home, and a great attention to detail. We would like to offer our sincerest apologies for the hiccups you experienced during your stay. We would also like to let you know that thanks to your feedback, we had a shower cartridge installed this morning and all other issues will be addressed at the next check out. We are so thrilled that you enjoyed your stay and we hope you'll be back next year to enjoy the improvements to this already fantastic home.